Family and friends of Patsy Carpenter are raising money to pay for uninsured medical expenses associated with her liver transplant. Patsy lives in Kings Mountain, NC and is being treated at Duke University Medical Center. Patsy has chosen to fundraise with HelpHOPELive in part because HelpHOPELive provides both tax-deductibility and fiscal accountability to her contributors. Contributors can be sure that funds contributed will be used only to pay or reimburse medically-related expenses. To make a contribution to Patsy’s fundraising campaign, click the “Contribute Now” button. To email this page directly to others in your community, who might wish to learn about Patsy’s campaign, click the email button and type in as many email addresses as you wish. Do you still have this page active? Hi little sister, Hope things are o k. for you. We are praying for you. David & family Dallas, N.C.
Hi Patsy, I hope things are going well for you. Love you.It want be long until spring. We can get outside and injoy the sunshine every day together. Love you, I wish you well. Lots of people are praying for you. Love You, I hope and pray for good things in 2010. I pray this be the year your health gets better. We would like to thank everyone for there kind donations, help and support. God Bless Each And Everyone of you. Patsy_You know that I worry abouy you all of the time. Try to do what the doctor says and take care of your self. Doris P.
We all LOVE you very much & we are praying for you every day & night.GOD hears all the prays we send up.Your health will get better. LOVE YOU PHILIP. Patsy, You are always in our prayers sister. Our love and prayers to you! 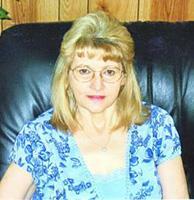 Hey Patsy, I e-mailed your link to all the members that I had of David Baptist, maybe you will hear from some of them. Stay sstrong in your journey!! !